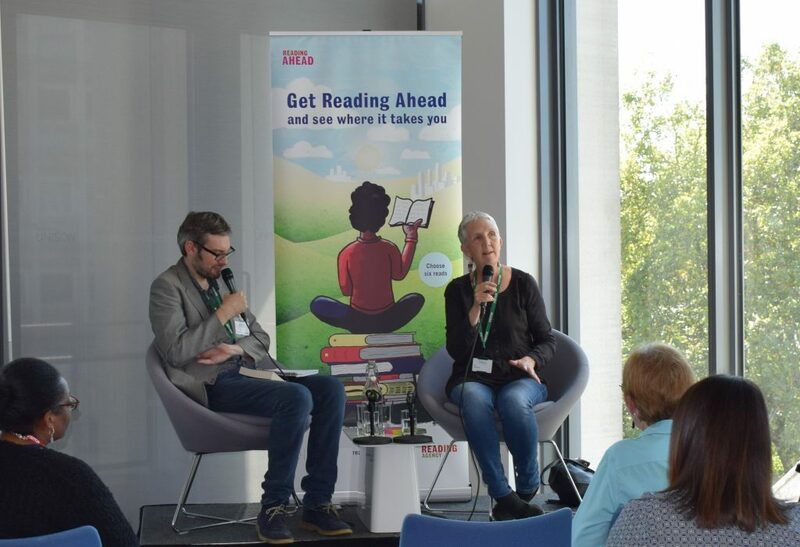 UNISON was delighted to host the launch event for the Reading Agency‘s 2018-19 Reading Ahead challenge at UNISON Centre on 13 September. Reading Ahead is an initiative that encourages less confident readers to choose six pieces (which could be books, articles, poems, blog posts…) and write a brief review of them. It aims to get people reading for pleasure and engaged with what they are reading, benefitting those individuals and wider society. 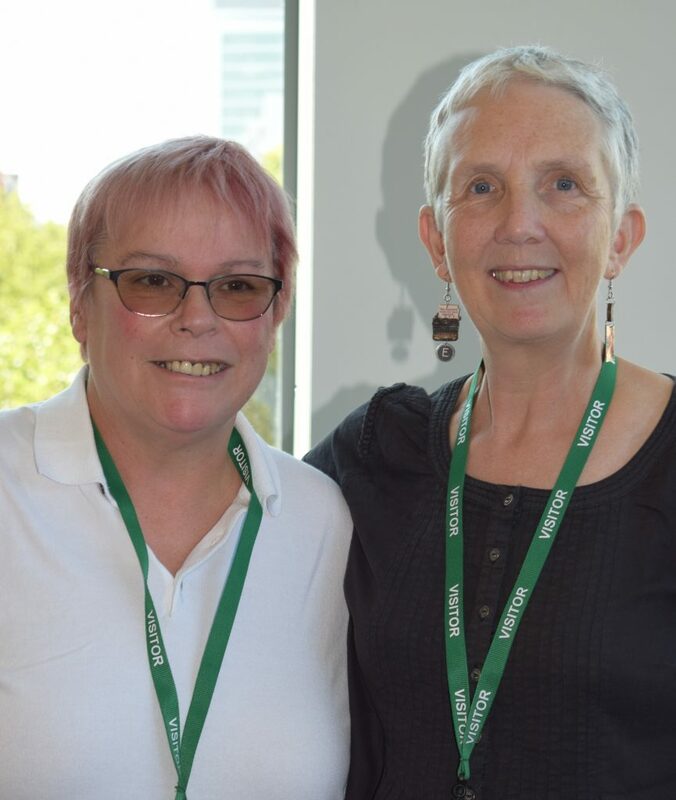 Sue Wilkinson and Genevieve Clarke from the Reading Agency thanked UNISON for hosting, and talked about the ‘joy, pride and confidence’ that Reading Ahead brings to those who complete it. They paid particular tribute to the role that unions and union learning reps play in promoting the challenge and supporting readers through it. 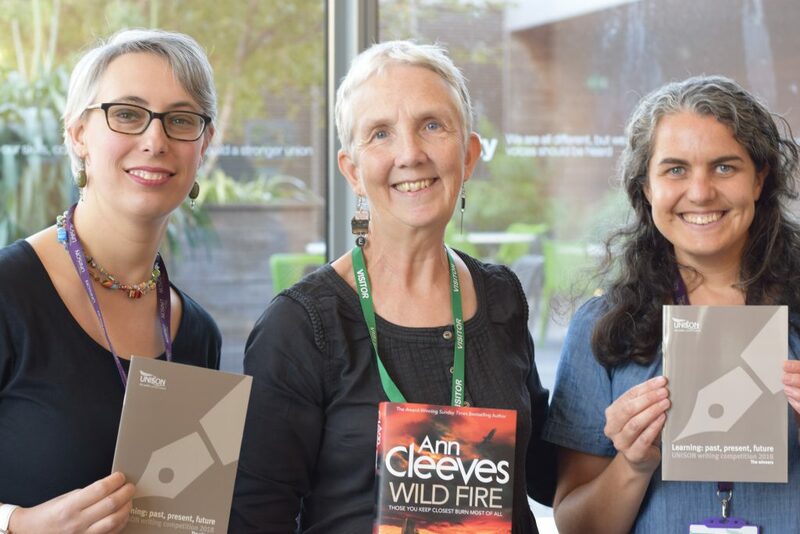 Guest Ann Cleeves spoke about the inspiration behind Wild Fire, the latest and final book in the Jimmy Perez ‘Shetland’ series. And she was emphatic in her words of support for public libraries, crediting them with inspiring her to write, sustaining her writing career, and bringing millions into the economy. And we also launched our own Learning: past, present, future winners’ booklet featuring the six best entries from our twenty-fifth anniversary writing competition. The six short pieces in the booklet are engaging, varied and easy to read – it could represent a completed Reading Ahead challenge in itself. Copies can be ordered from UNISON Learning and Organising Services. We initially used our quick reads for our overseas nurses reading group. We also used them as promotional material for those signing up to the scheme. We give some to the library for people to borrow as well. I am glad that JoJo Moyes has saved the Quick Reads as it does encourage people to read. They are especially good for overseas nurses as the font is usually a good size and an easy(ish) read. Reading Ahead project has made people read more and find time to read. We have launched a book club and pilot creative writing which are extensions of Reading Ahead. The book club members and creative writing learners have joined this year’s Reading Ahead and completed the challenge. – encourages you to keep reading. – switching off and relaxing with a good book. I love sitting outside in the garden to read and listen to nature. – It’s great to have books available on each floor and at the ferry terminal to give opportunity to read authors you wouldn’t normally read. – I’ve really enjoyed the reading challenge and would take part next time. – I really enjoyed the challenge and have also recently joined the book club to challenge myself to read other types of books. 104 participants completed UNISON Newcastle City’s 2017-18 Reading Ahead Challenge, in partnership with City Library and City Learning. This concluded with another successful celebration event at City Library. Opening speeches were made by Barbara Bravey (Library and Information Officer, Newcastle City Library), Christine Herriot (Chief Operational Officer, Newcastle City Council and Nicki Ramanandi (Assistant Branch Secretary, UNISON Newcastle Branch). With over 80 attendees representing City Library, City Learning, Newcastle City Council and UNISON turning up for the event, there was a lively and joyous atmosphere helped along by music from the Library’s resident guitar and ukulele groups and a buffet lunch. Reading Ahead certificates were presented to successful participants who had completed their challenge of six reads. If you’re interested in running the Reading Ahead challenge in your workplace, please contact Clair Hawkins. We can help you by providing reading diaries, Quick Reads books and writing competition booklets, and other resources.